Colorado drought conditions were wholly unchanged from the previous week as improvements in the western part of the state halted. While chances of an El Nino continue to increase, the weather pattern is not expected to bring significant relief. There is a 70 to 75 percent chance of a weak El Nino developing by late fall or early winter. El Nino is an ocean-atmosphere climate interaction that is linked to periodic warming in sea surface temperatures in the central and eastern equatorial Pacific. 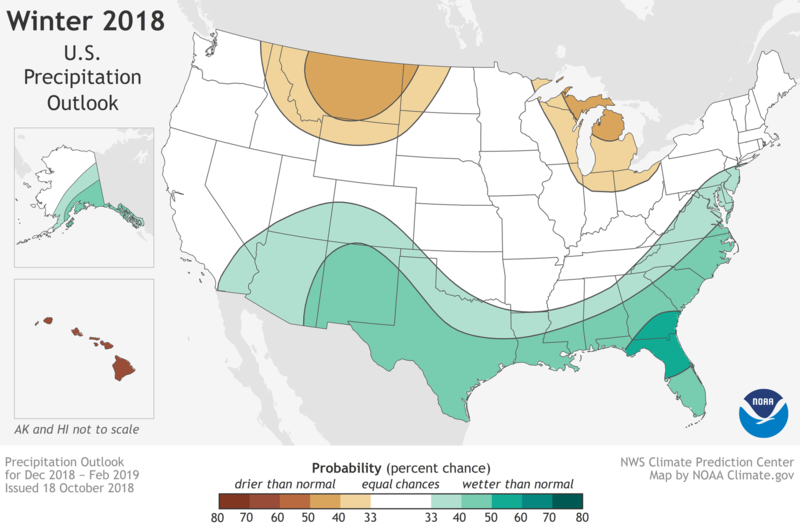 During the winter, typical El Nino conditions in the U.S. can include wetter-than-average precipitation in the south and drier conditions in parts of the north according to the National Weather Service Climate Prediction Center. 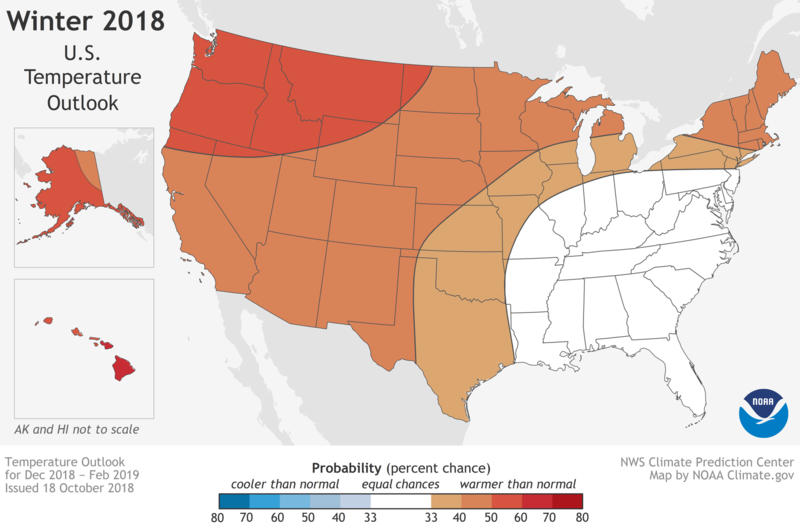 There is a 40 percent chance all of Colorado will be warmer than average during the three-month period spanning December through February, and a 33 percent chance that much of the southern half of the state will be wetter than average. Courtesy National Weather Service Climate Prediction Center. Temperature outlook for December 2018 through February 2019. Courtesy National Weather Service Climate Prediction Center. Precipitation outlook for December 2018 through February 2019. Despite the potential for additional moisture, drought conditions are expected to persist in Colorado at least through the end of January. 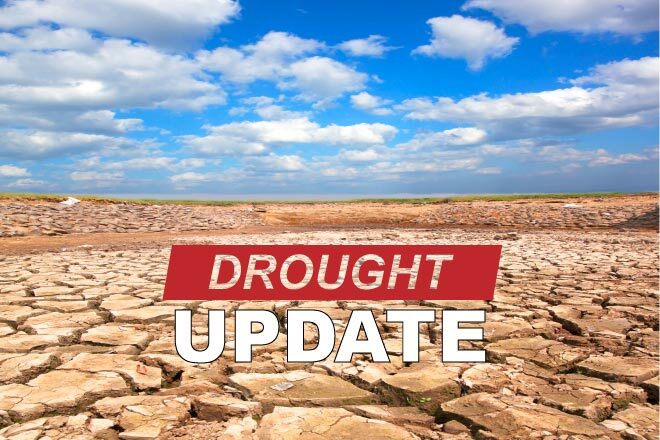 The southwest corner of the state may see some improvement, while the remainder of western and south central areas can expect drought conditions to continue largely unchanged. Courtesy National Weather Service Climate Prediction Center. 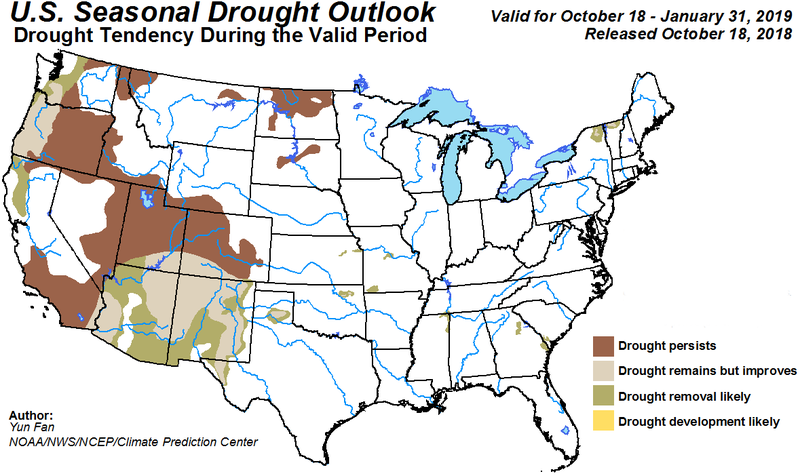 Drought outlook for October 2018 through January 2019. 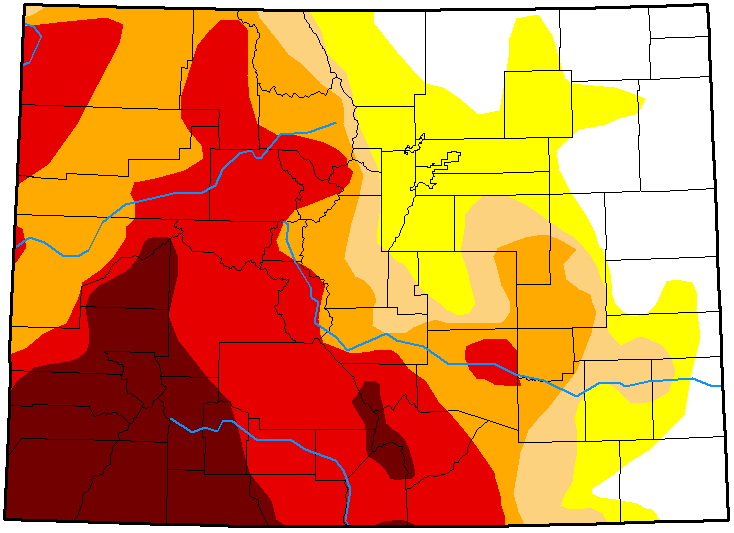 Overall, 17 percent of Colorado is drought-free, while 16 percent of the state is abnormally dry. Moderate drought impacted nine percent of the state, while severe drought is at 20 percent. Extreme drought covers 25 percent of the state, with exceptional drought at 14 percent.